Analysis of actual use of fast chargers in two charging infrastructure operator networks reveals a large spread in achieved charge power between users, seasons, vehicles and locations. The actual use of fast chargers in Norway has not been documented until now. The aim of this report is first and foremost to understand how, how much, and where fast chargers are used in Norway, and to understand how important fast charging is for the rate of diffusion of electric vehicles. Fast charging enables battery electric vehicles to travel longer distances. Electric vehicles get about 4-6 percent of their energy from fast chargers. The average fast charge power was 30.5 kW in 2017, although chargers can deliver 50 kW. The average time was 20.3 minutes. The low average power will lead to an underutilization of the available power of fast chargers. More fast chargers will therefore be needed in each location to be able to transfer the same volume of energy per hour to the vehicles. Cost is thus transferred from the vehicle manufacturer to the charging network operators. They will have to invest in more chargers in each location, and pay more than necessary for the grid connection. The charge power deviates. A large share of users achieve low charge power during the winter because cold batteries are less capable of being charged fast. The variation is mainly due to climatic and vehicle technology issues. Most users only fast charge once per day, about 2% on any given day charge more than once. The latter are likely users on long distance trips. The low charge power can lead to charge queues and a need for more chargers. This report has been written as part of the Electromobility Lab Norway (ELAN) research project. ELAN is led by the Institute of Transport Economics and financed by the Research Council of Norway. 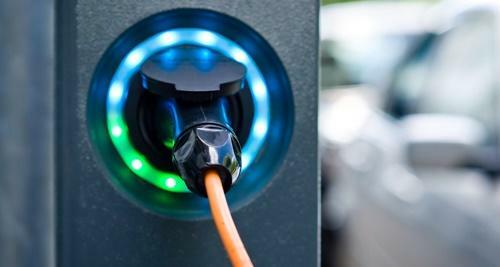 The main purpose of the ELAN project is enhanced and accurate knowledge on the market uptake of electric vehicles, and on the innovations and strategies required to increase the market uptake.